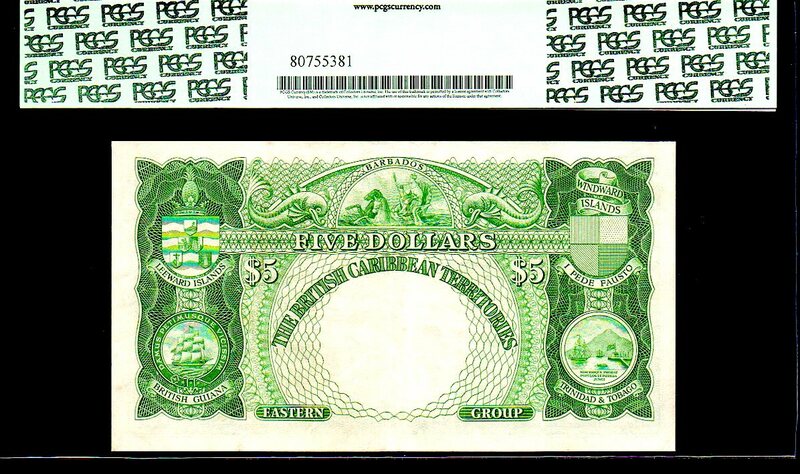 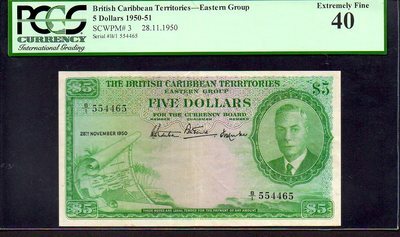 BRITISH CARIBBEAN TERRITORIES $5 1950 PCGS 40 RARE “KING GEORGE VI” “MAP NOTE” Nearly perfect Margins and deep green Inks! 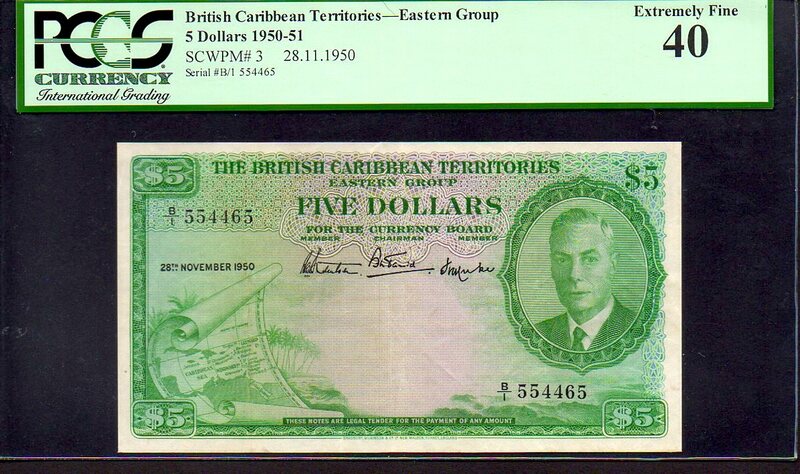 Razor sharp margins and Excellent Eye Appeal on this VERY VERY RARE “Early Issue” BCT note. 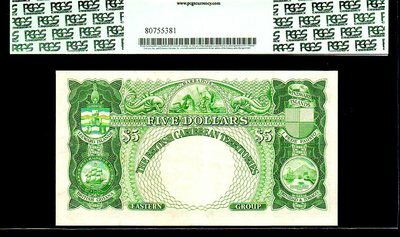 We have many others from the same Set in our store!